Visa and MasterCard provide some of the quickest and most trusted ways to make an AUD deposit to an online casino, with payments available using both credit cards and debit cards. 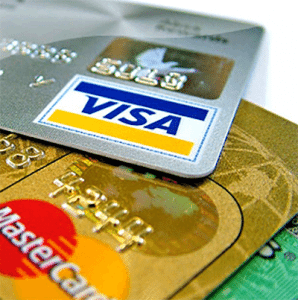 We explain how Visa and MasterCard casino deposits work, the benefits of using these reliable payment methods and the best casinos with the biggest bonuses to make a credit card deposit. Using your Visa or MasterCard credit or debit card is one of the most straightforward ways to deposit real money to an online casino. All you need is your card, so there’s no need to sign up for an additional account with a web wallet service, head to a retail outlet to purchase a pre-paid card or endure the annoying processing times associated with direct bank transfers. We recommend the casinos in the table above if you’re looking for a safe, reputable venue to play casino games for real money and claim some huge welcome bonuses. Sign up for an account with one of the recommended casinos above to take advantage of exclusive welcome bonuses for new players. Log in and head to the banking/deposit/cashier section of the casino. Select Visa or MasterCard as your chosen deposit method. Enter the amount of Australian dollars you want to transfer. When prompted, enter your credit or debit card details including the CVV number on the back of your card. Follow the prompts to complete the transaction and the funds will appear in your casino account straight away. You can now take advantage of any bonus offers or casino promotions and get stuck into the hundreds of real money pokies, blackjack, roulette, poker and live dealer games on offer. Is it safe to deposit using a credit card? Credit card payments often get a bad rap because the Internet was a hot spot for credit card fraud before the days of proper online security. These days, thanks to huge advancements in digital encryption technology, it is very safe to make online purchases or casino deposits using a credit card, provided you stick to reputable and secure sites. The casinos we recommend are all protected by a minimum of 128 Bit SSL (Secure Socket Layer) digital encryption security, which scrambles your credit card information to prevent your details being obtained by a third party. This is the same high level of security used by Australian banks like Commonwealth Bank, NAB, ANZ and Westpac. The Visa and MasterCard brands also provide an extra layer of security thanks to their Zero Liability Policies. These policies guarantee that on the rare off-chance that your credit card details are used without your authorisation, you won’t be held financially responsible and you’ll be reimbursed for the unauthorised deposits. Visa and MasterCard also have dedicated security teams working around the clock to keep an eye out for suspicious looking activity, so you can rest assured you’re well taken care of. Deposits are instant, giving you immediate access to your money. Payments are protected by stringent security measures upheld by Visa and MasterCard, and you’ll never be held responsible for unauthorised payments. 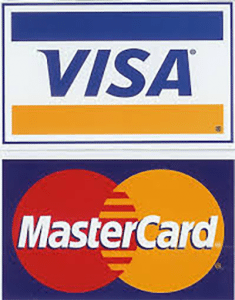 Visa and MasterCard are accepted at a majority of all leading online casinos. Many credit card companies offer reward programs for their customers, so depending on your bank you may receive bonuses or loyalty points for spending money using your Visa or MasterCard (check with your bank for further information). You don’t have to have access to a line of credit to use this method, with deposits also available using your Visa or MasterCard debit card, pre-paid card or gift card. Credit cards come with daily transaction limits, so your bank may not allow you to transfer as much money as you’d like. Some Aussie banks impose processing fees on deposits made to online gambling sites. Accessing a line of credit can be risky if you’re a problem gambler, as you have potential of falling into debt that you can’t repay. If you have any queries about your daily transaction limits or restrictions applying to online gambling, you’ll need to contact your bank directly, as online casinos will not be able to help you with this information. Still not sure if this is the right choice for you? Read our detailed article explaining all the most popular AUD deposit options at online casinos. Not only are all of these casinos licensed, trustworthy and highly acclaimed in the online gambling industry, they also offer some excellent bonus offers to new and loyal players. Sign up using our links above to claim exclusive welcome packages in the form of matched deposit bonuses and free spins, and be rewarded for your patronage with loyalty programs and one-off promotional offers. Sign up for an account with Guts online casino and make a deposit using Visa or MasterCard to claim a $500 welcome bonus plus 100 free spins to use on NetEnt’s Starburst.